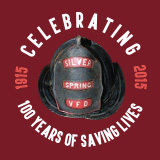 The Silver Spring Volunteer Fire Department is thrilled to be celebrating 100 years of saving lives. After a devastating fire in 1915, the Silver Spring VFD opened its doors to ensure the safety of the community by providing fire protection services. And, 100 years later, the Silver Spring VFD is still keeping you safe. Some day YOU may be in need of these important services—and with your help—we can be certain that the Silver Spring VFD will continue to ensure the community’s safety through its critical services. 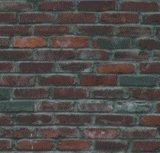 Thank you for considering a contribution in honor of our 100th Anniversary, and to recognize the men and women who have dedicated their lives to your safety as well as to the entire community of Silver Spring. Get your 100th Anniversary T-Shirt today!